This resource helps to introduce the topic, and recap upon previous learning. It looks at rivers in general from the how they alter to land to how they affect people. To enlarge the video click on the tab in the bottom right corner. 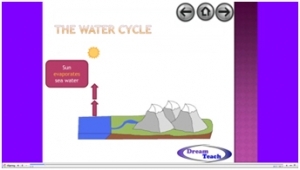 This flash presentation shows the basic steps of the water cycle. Simply click for the next step each time. This flash presentation outlines the processes of weathering, erosion, transportation and deposition. This worksheet is designed to accompany the two presentations. This presentation helps to show pupils the key parts of a drainage basin. 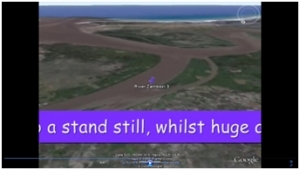 This presentation looks at what happens on a river bend. It looks at how an ox bow lake may develop on a meander. Simply click for animations to occur on each slide. 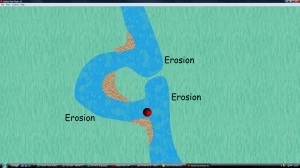 This flash animation helps to show pupils what occurs on a meander and how this can eventually lead to the formation of ox bow lakes. It can be enlarged to full screen using the menu at the top of the animation. This short presentation simply highlights what happen to a stretch of meandering river over time. 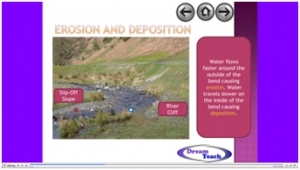 It will really help learners who struggle to visualise changing landforms with time. 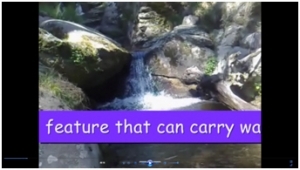 This flash animation shows how a waterfall retreats, helping pupils to understand this process. This presentation looks at how waterfalls retreat. It includes video footage of a waterfall in Corsica. Simply click on each slide for animations to occur. This worksheet gets pupils to think about the formation and retreat of waterfalls. 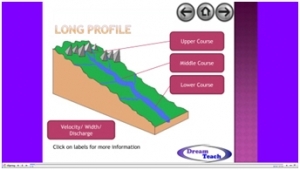 This presentation looks at how a river's features change from its upper course through to its lower course. Click on any of the highlighted boxes for more information. It includes video footage. 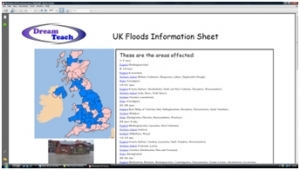 These resources allow the comparison of flooding in the UK with flooding in Mozambique. This movie looks at the effects of flooding in Mozambique in the year 2000. To enlarge the video click on the tab in the bottom right hand corner. These resources allow the comparison of flooding in the UK in 2007 with flooding in Mozambique in 2000. 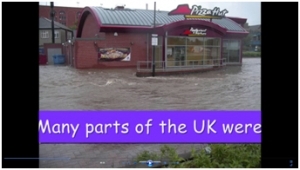 This movie looks at flooding in the UK. To enlarge the video click on the tab in the bottom right hand corner. 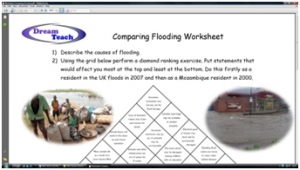 These resources allow the comparison of flooding in the UK with flooding in Mozambique. This information sheet is designed to provide pupils with infiormation, that they can interpret and use, to write a newspaper article on the UK floods. These resources allow the comparison of flooding in the UK with flooding in Mozambique. This presentation helps pupils to see the success criteria required when producing a newspaper article, in order to write their article on the UK floods. These resources allow the comparison of flooding in the UK with flooding in Mozambique. This worksheet gives pupils an opportunity to think about the different ways in which MEDCs and LEDCs are affected by flooding. These resources look at the causes and effects of flooding, before looking at how we can prepare for floods. The flooding presentation looks at causes, effects and solutions. Simply click on each slide for the animations. These resources look at the causes and effects of flooding, before looking at how we can prepare for floods. 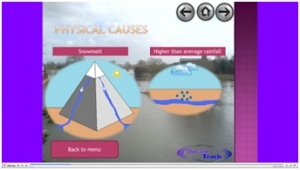 The flood response presentation provides tasks that get pupils thinking about the best possible ways to deal with flooding.